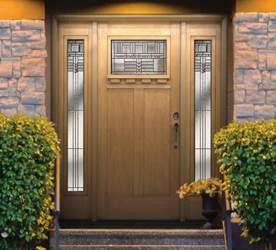 Total Basement Finishing is proud to now offer Paragon's fiberglass and steel entry doors. These doors from an industry leading manufacturer are designed for comfort and beauty. They also come with a huge selection of customization options and comprehensive warranties. You can't really go wrong with entry doors from Paragon. Due to Sunrise Windows & Doors, Ltd's recent acquisition of Paragon, Total Basement Finishing is proud to offer Paragon entry doors in addition to the other Sunrise products that we offer. Paragon entry doors come in both fiberglass and steel and are some of the most beautiful, durable and customizable options on the market today. They also help to lead the industry in energy efficiency. If you’re looking for a long-lasting, energy-efficient, door option then you’ve come to the right place. Paragon is devoted to the production of innovative replacement doors that are not just beautiful by default, but also highly customizable to your particular needs and vision. Many Paragon entry doors are also ENERGY STAR® certified doorways. Look for the energy star sticker on these models. This sticker indicates they meet the strict U-value (resistance to heat transfer) and solar heat gain standards of ENERGY STAR®. This is partly because Paragon uses E-max energy glass to achieve high levels of energy efficiency on these dors. Not only can these Paragon entry doors make your home more beautiful, they can also help the environment and save you money on energy bills! You can always expect the highest level of quality in your Paragon entry doors. All Paragon products are handcrafted at their cutting-edge facility in Louisville, Kentucky, and they pride themselves on their use of the most advanced components, precise engineering, and proven construction methods. So proud is Paragon of its products that they offer a 10-year paint finish warranty, a 10-year glass warranty, a 20-year seal failure glass warranty and a lifetime accessories finish warranty. Total Basement Finishing is the leading manufacturer of attractive, durable and mold-resistant basement finishing options. 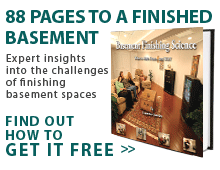 Total Basement Finishing's extensive network of dealers provides nearly every U.S state with the quality basement finishing options that they need.